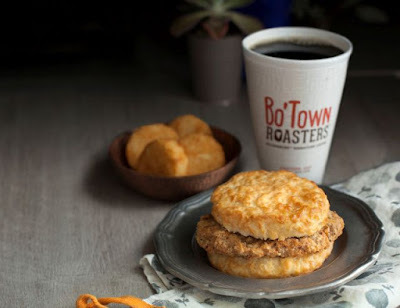 Bojangles' offers $4 biscuit combos and a 2-piece dinner combo for $5 to start 2018. - Country Ham Biscuit, a side, and a coffee or fountain drink. - Sausage & Egg Biscuit, a side, and a coffee or fountain drink. - Country Fried Steak Biscuit, a side, and a coffee or fountain drink. The $5 dinner combo consists of two pieces of fried chicken (leg and thigh), one side, a buttermilk biscuit, and a fountain drink.